Browse our customizable online design templates. 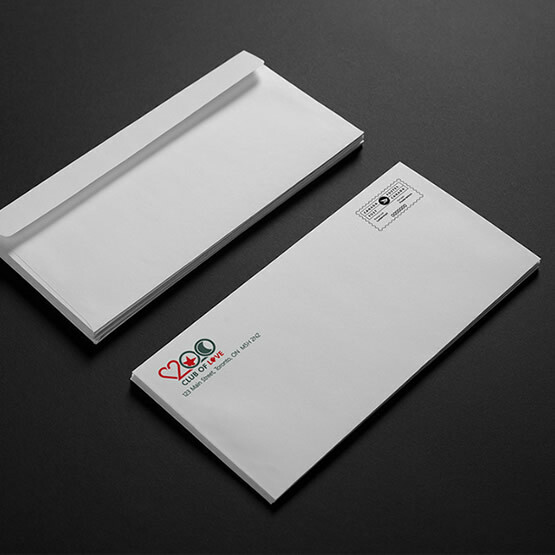 Having branded envelopes for your business in Calgary not only strengthens your brand but also ensures that your customers in Calgary most likely will open correspondence from you. Whether you are mailing out invoices, statements or offers to customers in Calgary - it is a good idea to have them in the envelopes with your logo. PrintSale.ca offers high quality envelope printing services to Calgary customers. Should your Calgary business require over 5000 envelopes printed, please do not hesitate to contact us at for a custom quote.